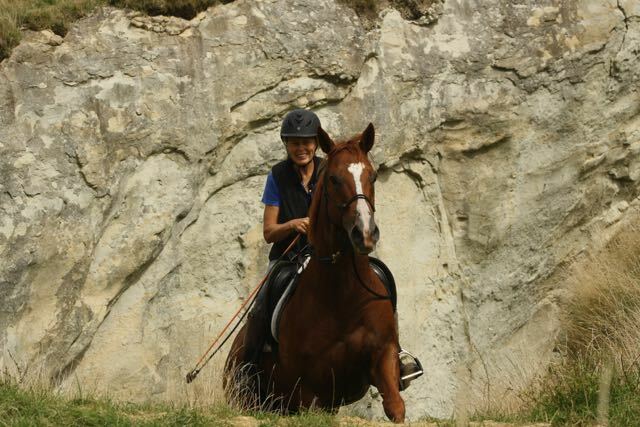 Open to all levels, we instruct students on how to become safe, confident and skilled in every area with a horse both on the ground and riding. This applies to the recreational rider as much as a trainer or competitor. 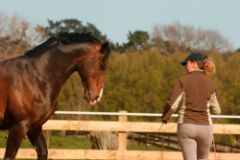 You will learn something new, discover more about your potential and grow your relationship and skills with your horse. Clinic cost is $100.00 per clinic plus ground fees. For those wishing to advance there skills and develop higher concepts and understanding. 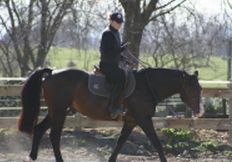 This in turn will help you to gain a greater feel and connection with your horse on-line, at liberty and in the saddle. There are some pre-requisites for this clinic, please email for more details. Clinic cost $100 per day plus ground fees. Develop and consolidate the skills learnt in previous clinics in a supportive fun action filled atmosphere out and about. Tackle the dunes, beach, farm and all variety enviroments and challenges. Cost is $230 for the 2 days. Camping for horses and humans at Starlight Farm included. 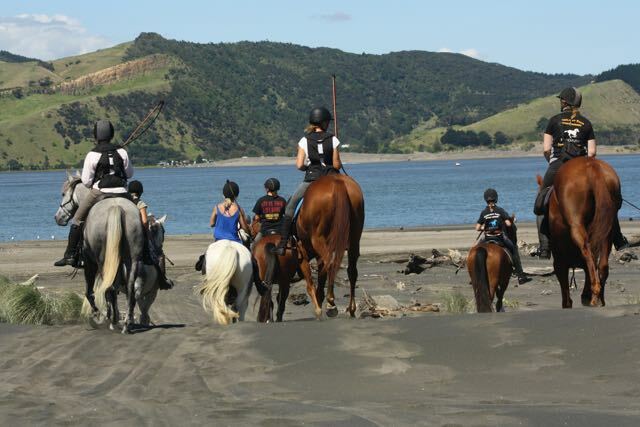 Lessons and activities everyday catering to individual needs and requirements which includes ground work and ridden. Lots of fun learning games and very new experiences. 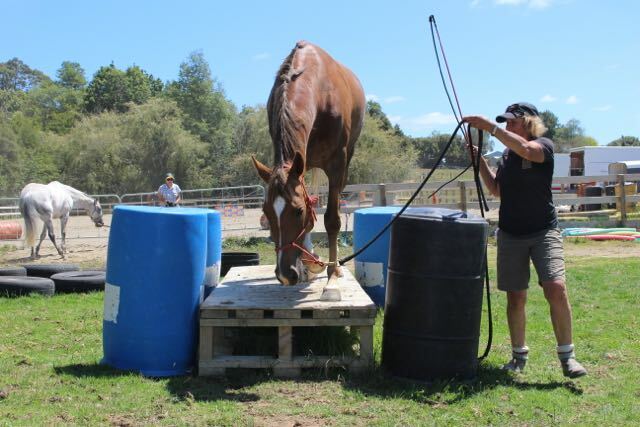 Skills learned on this camp will help children with understanding there ponies better, developing better communication and confidence whilst teaching them to problem solve and stay safer while doing some pretty cool stuff! 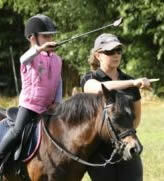 Horsemanship Clinic for Children. 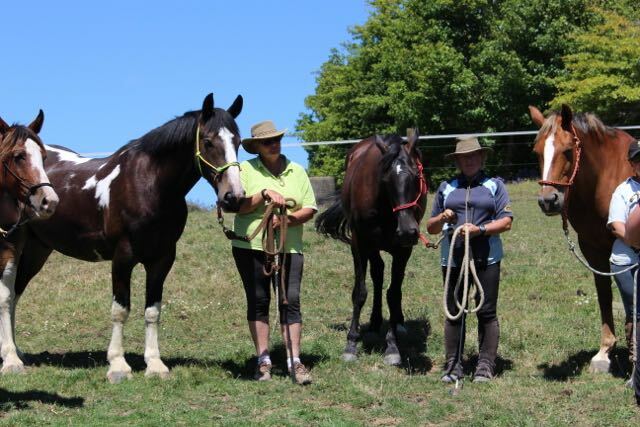 $100 per day includes camping and paddock for pony. Please bring hay and feed. 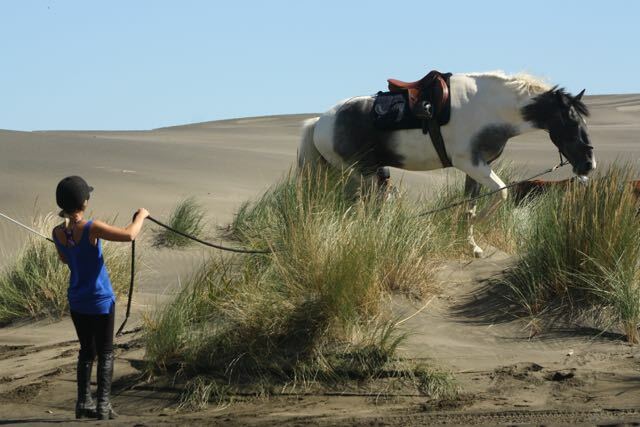 Will require children to bring a Natural Horsemanship Kit. If you do not have one they can be purchased from NaturalEquipment.com. Dressage, Jumping and Natural Horsemanship. All levels and individual needs catered for. Introducing the riding master Señor Ramón Guerrero, also known as 'The Systematic Horseman'. After completing years of classical horsemanship training at The Alvaro Domecq School, Ramon became a co-founder for the Royal School Of Equestrian Art Jerez de la Frontera Spain. In 1972 Ramón was chosen to perform as a guest rider with the Spanish Riding School of Vienna for their 400th anniversary performances at Wembley Stadium, London and Paris. In 1975 he moved to Australia and founded El Caballo Blanco, the first classical dancing horse show in the Southern Hemisphere. 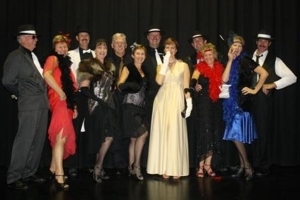 In 1981 he established the “International Dancing Stallions of Australia”. 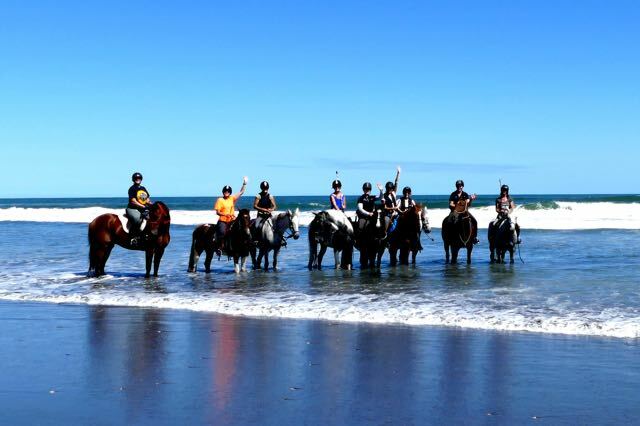 Since 1990 Ramón has been dedicated to developing and spreading his knowledge of horsemanship and the equestrian arts throughout Spain, New Zealand and Australia. $120 per individual lesson, auditors welcome, ground fee $10.00 per day. Paddocks over night if needed $10, Stables $20. Auditors currently free! (bring a chair). Please book early to take part in this clinic, preference to those that ride three days or more. Please indicate approximate time you would like to ride. At Starlight Farm we are in a unique position to offer a Team Building course like no other. 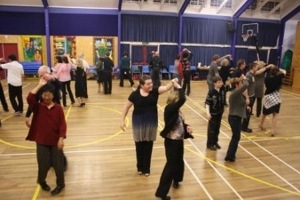 Joining forces with Dancewell Studios we bring a package together that will revitalise, motivate and unite your team by involving both Ballroom Dance and Horses. This course will challenge and improve your team. They will delight in mastering something new, developing communication skills in a fun and entertaining way, bringing a team together to reveal new strengths. 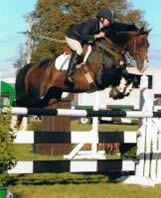 Courses are aimed at absolute beginners, no prior dance, horse or fitness experience required. Working with horses from the ground only, no riding. 10.30am to 2pm weekdays, bookings essential. Comfortable clothes and footwear with closed toe for active moving and walking in. Packed lunch. Refreshments, tea, coffee and biscuits will be provided.